Summer days when the leafy canopies of the trees cast shadows so deep, you can almost drown in the depths of the lush lucid shade. 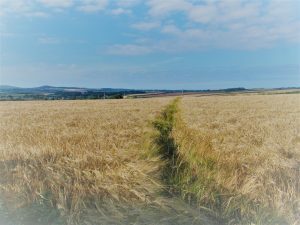 Summer days bring bright rippling fields of corn to the countryside, stretching to the horizon as an unconscious proof of the bounties of the season. The swathes of faded gold enveloping the old mine buildings left from another era. Here are some of my favorite memories and hopes for summer days to come in Cornwall!